There have been quite a few Raptor posts recently. I guess seeing a bunch of them at Nellis triggered a few things of interest to me. One was as I looked at the jets after they had passed me by on their approach. A few years ago, the F-22 fleet was grounded by some issues with the oxygen system. Like most modern jets, the F-22 doesn’t carry bottled oxygen but instead generates it onboard for the pilot. There were some issues with the oxygen being generated that resulted in pilots feeling unwell and, potentially, losing awareness of what they were doing. As you can image, this is not a good thing in a fast jet and was believed to have contributed to loss of an aircraft with its pilot! A backup oxygen system was implemented to provide the pilots with something in the event that they felt symptoms of the problem recurring. Not so much of a solution as a fallback plan. As I looked at the jets, I saw green tanks behind the ejection seat. These are pretty big tanks and seem rather unsubtle in the way that something that has been added after the fact often is. I wonder whether these are the spare tanks for the pilots to breathe should the onboard generation system cease to be reliable. 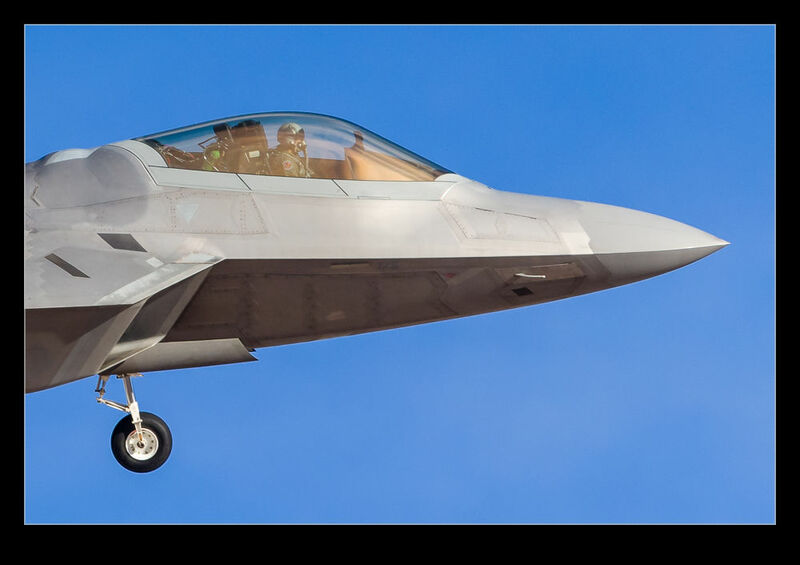 This entry was posted in aircraft, military, photo and tagged aircraft, airplane, f-22, fighter, jet, las vegas, Lockheed Martin, military, modification, nellis afb, nevada, oxygen, photo, raptor, red flag, USAF. Bookmark the permalink.